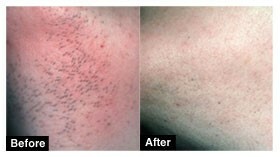 How Men’s Skin Centres’ Depilux™ Hair Free System Works? Our advanced Depilux™ Hair Free System quickly and effectively disables hair roots and prevents them from growing back. 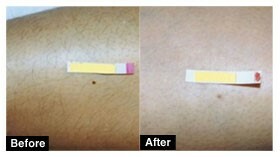 The system transmits pulsing light via the melanin pigment in the hair down into each follicle and uses heat to disable the hair-growth mechanism. Body hair grows in three different cycles: active growth, regression and resting. Men’s Skin Centres’ Depilux™ Hair Free System is used in the active growth stage when hair follicles contain an abundance of melanin. Depilux™ Hair Free System satisfied the European Medical Device Direction's (EMDD) stringent medical safety and reliability standards. 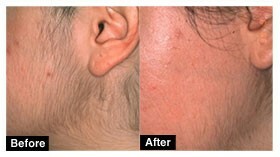 As a result, the system bears the CE mark and is approved for long lasting hair reduction. Operating at a wavelength of 800nm, Depilux™ Hair Free System has been shown to be the safest and most effective form of light-activated hair removal there is. To further ensure the comfort of its clients, Depilux™ Hair Free System incorporates Dual Mode Filtering to eliminate all clinical non-relevant wavelengths and prevent adverse thermal effects. 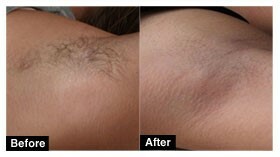 Hair Removal Method Permanent? Painful? How fast is it? Side effects/ Skin reaction?